We are in the eve of the next big Pokémon release, which means that some of you might be debating which version to buy. Fear not, undecided trainer. I’m here to help. Pokémon Sun operates on the same time as your Nintendo 3DS system, but time in the world of Pokémon Moon is shifted by 12 hours. Really, though, you’re going to overtly get the same story beats no matter what version you get, so don’t fret over this detail too much. Unless you love sunshine. Then you should get Sun. 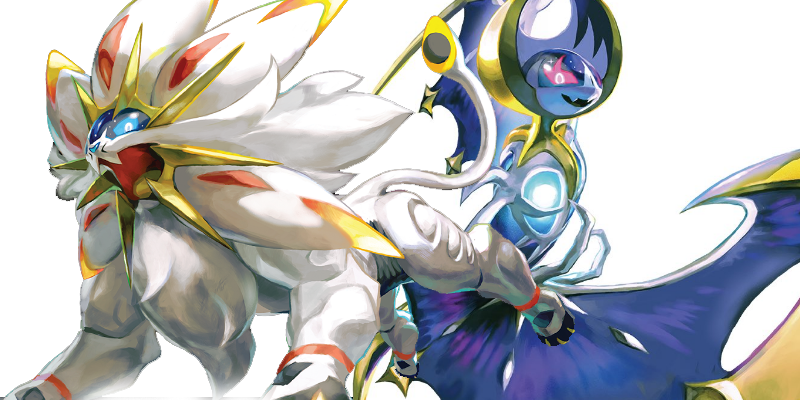 The next noteworthy difference is the one signaled by Sun and Moon’s box art: the legendaries. Legendaries are some of the most powerful and rare creatures you can find, so it’s an important choice. Solgaleo’s body holds a vast amount of energy, and it shines with light when it’s active. It has a flowing mane with a remarkable resemblance to the sun. Its signature move is Sunsteel Strike, an attack that charges at an opponent with the force of a meteor, disregarding the target’s Ability. Lunala is constantly absorbing light and converting it into energy. With its wings spread to absorb the surrounding light and glittering like a crescent moon, it resembles a beautiful night sky. Lunala’s signature Moongeist Beam attack releases an ominous beam of light that disregards the target’s Ability. It comes down to this: what legendary looks cooler to you? That’s the one you should pick. Or, if you’d prefer it in one quick, easy-to-parse image, @DecidueyeX has you covered. On the left is Sun, and the right is Moon. In list form: Sun has UB-02 Absorption, Lycanroc, Turtonator, Passimiam, Vulpix, Ninetails, Cranidos, Rampardos, Tirtouga, Carracosta, Rufflet, Braviary, Cottonee, and Whimsicott. Moon has UB-02 Beauty, Lycanroc, Drampa, Oranguru, Sandshrew, Sandslash, Shieldon, Bastiodon, Archen, Archeops, Vullaby, Mandibuzz, Petilil, and Lilligant. If you’re the tactical type, it might also help to know what moves these creatures can learn. For that, I direct you to Project Pokemon’s movelist directory—just search for the creature you’re interested in, and peruse the associated list. For most of us, though, the most important question we’re going to ask ourselves is this: which version has a larger number of Pokémon that look awesome to me? Neither technically has the ‘better’ Pokémon; it all comes down to taste. I for example went with Sun, because the lion Pokémon is way more awesome than the bat thing. You might feel like darkness is totally your aesthetic, so Moon is the best choice. Let your heart guide you. It helps to know that Sun and Moon have robust online capabilities, meaning that no matter what you pick, you’ll be able to trade for the exclusives you lack with ease. That’s the entire point! Here’s my prediction. Sun and Moon are just a fancy way of saying “Red and Blue,” and anecdotally at least, Pokémon Red has always been the more popular game. As such, I’m fully expecting more people to pick Sun over Moon. Guess we’re about to find out.